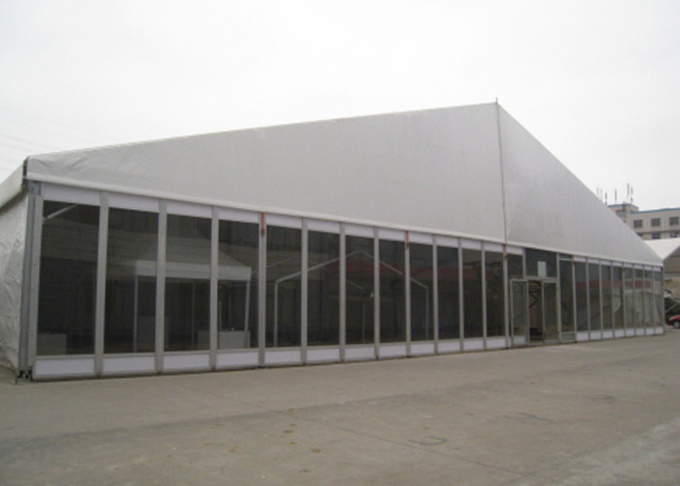 This 30x100m tent is widely used for event center and large exhibitions. It’s made of 113x259x5.5mm aluminum frame structure, 850g/sqm white pvc roof and 650g white pvc side walls. Several tents can be put up together to make a tent group with the use of rain gutters to protect from raining and water. The roof cover and side walls are with white high quality double PVC-coated polyester textile, 100% waterproof, flame retardant to DIN4102 B1, M2, CFM, UV resistant, tear resistant, self-cleaning ability, etc. 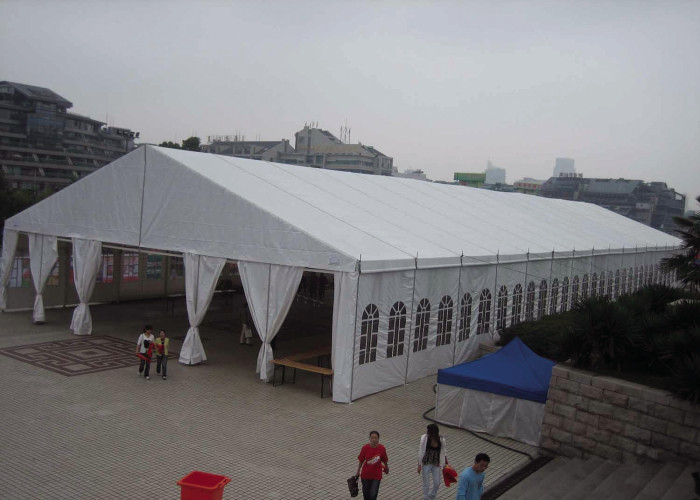 The side cover can be replaced by tempered glass walls, sandwich walls or solid abs walls to make the tent strong enough. 2. The tent is put up by screws, easy to be assembled and dismantled. 3. Long life span for heavy duty aluminum structure, can be permanently fixed in one place.